After the news of the soon-to-come releases of Pokémon Ultra Sun & Pokémon Ultra Moon were announced, players had to wait practically two months for the next big reveal to come. For two long, highly anticipated months, all players knew about the next 7th Generation Mainstream Pokémon Games was their release dates and the new Forms for Solgaleo, Lunala and Pikachu (though not much about each of them). But now, no matter how underwhelming the news is, the next piece of these upcoming games was told. This news came in the form of yet another new form for a Pokémon, this time with the 7th Generation Pokémon of Lycanroc. 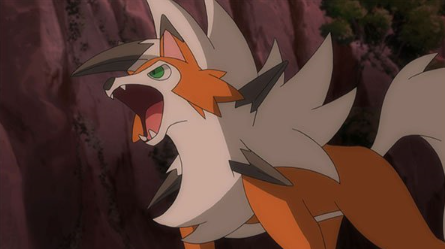 Much like how Ash Ketchum's Rockruff will evolve into a special form in the anime, so will players be able to access this third form of Lycanroc in Ultra Sun & Ultra Moon. This form will be called its Dusk Form, and it has a combined appearance of both of Lycanroc's other Forms (since it is the halfway mark between the times of day needed to evolve into each of them).